ZLATAN IBRAHIMOVIC wouldn’t have been preparing for his first Manchester derby this week if it wasn’t for Jose Mourinho. In fact, the Super Swede wouldn’t even have been in the country. Most people would have thought that Ibrahimovic, at some stage of his career, would have wanted to play in the Premier League. That, though, was not the case. English football was not on his wish list – until Mourinho arrived at Old Trafford in the summer. Suddenly, Ibrahimovic’s stance changed. Manchester United, with Mourinho in charge, became an appealing option. In fact, irresistible, even though the much-travelled Ibrahimovic was 34. He was out of contract at PSG, was retiring from international football with Sweden after the Euros in France, and the chance to end his career playing for Mourinho again was the perfect scenario. This was the same Ibrahimovic who stated: “I was close two times to moving to the Premier League – once with Arsenal and then Manchester City. Then Mourinho, his manager at Inter Milan, changed all that. Ibrahimovic says of the former Chelsea boss: “He is the mastermind, the masterbrain. 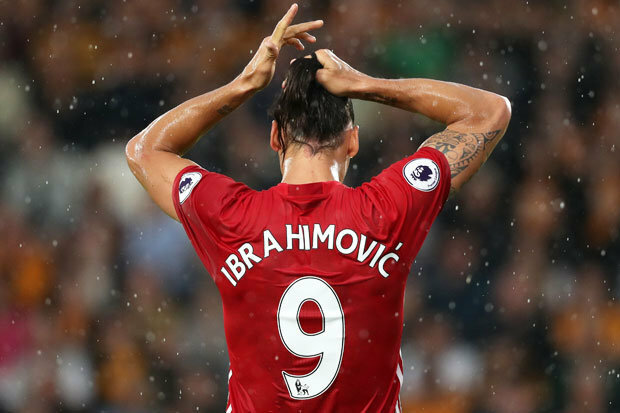 The feeling is very much mutual and the United boss has been delighted, though not surprised, at Ibra’s immediate impact. And because of his age, he will almost be nursed through his career in England by Mourinho. The Daily Star Sunday can reveal that Ibrahimovic was ORDERED by Mourinho to take a mini-holiday during the current international break. Ibrahimovic wanted to be treated like the other nine senior players who weren’t on international duty and have only TWO days off. The charismatic United striker said he’d report to the club’s Carrington training HQ and work in the gym. Mourinho told him he wouldn’t be doing that and that he had to take FOUR days off and return to training last Thursday. The United boss wants one of his talismen fresh to face City at Old Trafford on Saturday. And that sees Ibrahimovic come up against another of the high-profile managers he has played for – City’s Pep Guardiola. But his relationship with Guardiola couldn’t be more contrasting to that he again enjoys with Mourinho. To put it bluntly, Ibrahimovic doesn’t like the Blues boss, who he played under at Barcelona. He once famously said of Guardiola: “As a coach, he was fantastic. As a person, he is not a man. That all adds another intriguing ingredient to the Manchester derby, when something has got to give with both clubs having 100 percent success records, this season. And you wouldn’t bet against Ibrahimovic being at the centre of the action.